Which takes me neatly onto my second point – Bookshops. I love to lose hours fumbling through book stores and browse the possibilities. Poetry is still something relatively new to me, so I haven’t done this from a poetry angle before, and my experience has left me a little hollow. A few weeks ago whilst in Frome (the southwest of England), I went into a local bookstore “Hunting Raven Books” – it is a lovely little store with lots of variety and a very interesting Poetry section. 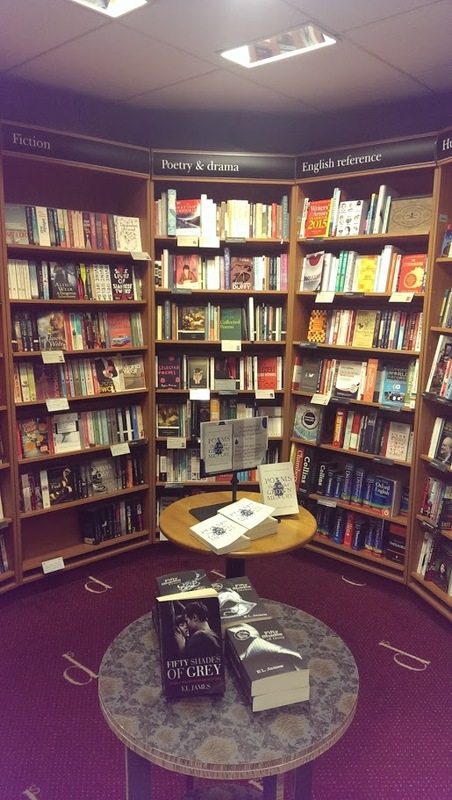 Full of pamphlets and books from local authors, classic poets, anthologies and everything in-between. I found a few books that looked interesting and bought them. A perfect book browsing experience. Last week in Swindon (that is where I live, still in the south west of England – but only just!). I visited two (the only two) bookshops in Swindon (to my knowledge). 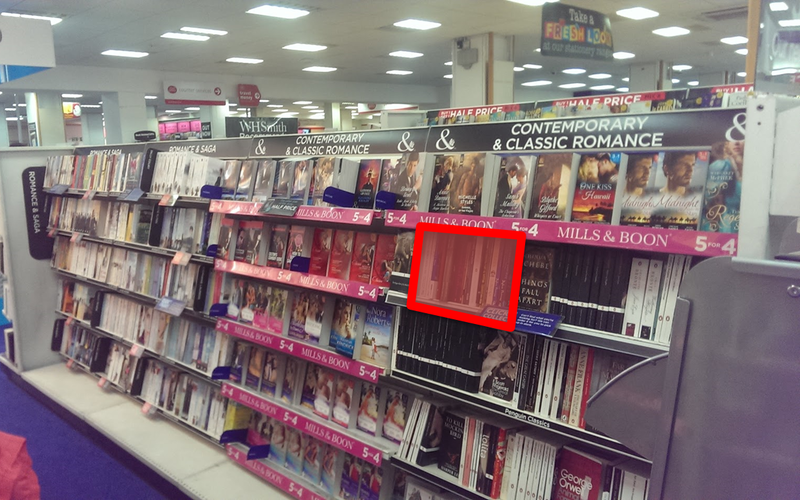 These were – naming and shaming time I’m afraid – Waterstones and WHSmith. My experience was one of shock, these shops have tens of thousands of books (maybe millions…), and yet their poetry sections were pathetic. I think I may be too polite, needless to say my experience left me needing to take pictures, especially of the WHSmith excuse for a Poetry section. Let’s start with this. So the picture you see highlights the poetry section – it was roughly a dozen books, it had War poems, an anthology and maybe a book by Pam Ayres… In a store with two racks (20 shelves) dedicated to “Adult colouring-in”, there wasn’t even a whole shelf devoted to Poetry. Swindon has a strong Poetry scene – it even has some excellent poets (For those of you who don’t know – it is also the Poetry capital of the world 🙂 ). Yet this is not reflected in the bookshops around Swindon. I don’t think this is something that will change, it’s a supply and demand thing… and at least I can buy the books on-line, but it did leave me feeling sad. Hopefully sharing this post will help me deal with it. Finally I will end on a similar note – I was curious about the existence of Poetry / Graphic Novel collaborations and did some googling on the matter. I found two very interesting things. 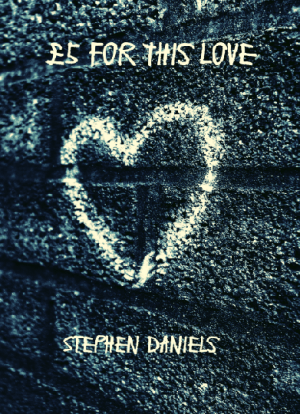 Stephen: Hi, I am looking for a comic book / graphic novel poetry book. Store Person: Umm… I don’t think we have anything like that. Stephen: Oh, because I read online that there was a Graphic Novel called “Howl – A graphic Novel” and I wondered if you had it. Store Person: Let me just search… (he taps at his laptop) – I can’t find anything here. I hope you don’t mind me saying this, but a poetry comic book… is well. (He paused). A comic book is already a niche thing, and poetry is even more niche – so what you are looking for is a niche within a niche. The book must be independently published. The store person was very friendly and the shop is ace, I can highly recommend it. But what he said cut deep… “Poetry is even more niche”, than comic books – Ouch! This is a reality of modern living, especially with Hollywood jumping on the comic book bandwagon – it now has a higher profile, greater reach, (more bookstore space!) and more customers than Poetry. As a comic book fan it doesn’t hurt much, but as a fan of books in general – I am very saddened by the perception that Poetry is becoming irrelevant. I read a lot of poetry on-line and it is here that it is thriving, but only by those that are looking for it. A greater presence of Poetry in bookshops would help with this perception, but the stores would argue that this has to be driven by the demand for Poetry. The second point on this googling adventure, I found a free source of graphic novel poetry and it is brilliant. By an Artist called Julian Peters, a comic book artist and illustrator living in Montreal. Take a look at his website – the work is excellent. In conclusion, the niche within a niche does exist, but it does appear to be rather rare – and bookshops (in Swindon at least) are not the place to find Poetry variety (or volume!). The interpreter’s House – Issue 59. I recently took part in a workshop by Martin Malone, the editor of this magazine and his poetry (and hence his poetry taste) is excellent. The magazine is full of poetry and short stories by great poets and writers. One of my favourites from the collection was by Jinny Fisher, called “Deep Cleaning”. Poetry Magazine (June) – Every month I am so impressed at the continually breath-taking quality of the poetry in this monthly magazine. The cover this month was also rather sad looking (which just adds to the intrigue). I can’t recommend subscribing more highly – alternatively you can listen to its podcast here. Ye Gods – Jill Sharp. Jill lives in Swindon and she recently read her poems at a Swindon Poetry event. The readings were excellent and her poems have a wonderful creativity to them – My particular favourite was “Jam doughnut”. This event was also where I made my first public reading – I was excited, tense and a little nervous, but the Poetry Swindon crowd are such a lovely bunch, it was great to be a part of. This entry was tagged Bookshops, Comics, Poetry. Bookmark the permalink.